Find the area of the shaded triangle, formed by the two squares below. We know the small box has side lengths 7. Now we are half way there, all we need to find is the height. 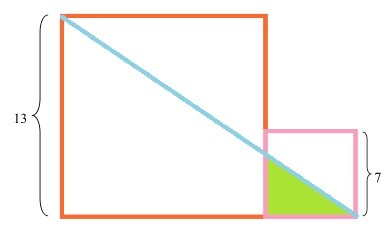 The main diagonal has a slope of 13/20. Using this slope we are able to determine that the height is 4.55.